A man later found with cans of beer and narcotics crashed his vehicle and was found unconscious by police after his vehicle jumped the curb off the Darien High School loop roadway on Thursday, less than 20 minutes after school was let out, police said. 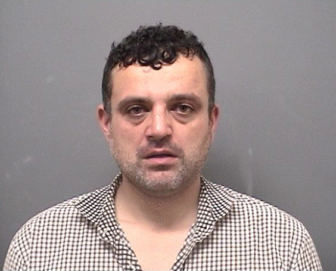 Sept. 6, 2018 arrest photo of Nordin Farez of Ritch Avenue West, Greenwich. Police were called to the scene at 2:37 p.m., just 17 minutes after students were let out of school for the day. Nordin Farez, 39, was in a car with a 31-year-old Stamford man (who was not charged), and both were unconscious when Officer Bryan Wallman, the Police Department’s school resource officer, was the first from the department to arrive at the scene. Wallman is based at the school. When they were finally aroused — “after some difficulty,” a police announcement said — both Farez and the other occupant of the car had bloodshot, glassy eyes and their speech was slurred. Neither occupant said they remembered details of the car accident. When Farez spoke, police smelled an alcoholic drink on him, and they saw two cans of Budweiser beer on the center console. Greenwich police issued this photo last week for Nordin Ferez of Greenwich. Early Friday afternoon, they said he was found. [Update at 4:31 p.m., Monday] The Darien police announcement about the arrest said Farez is a Stamford resident, although a Google search for his address shows that address in Greenwich. Nordin Farez, tax attorney, from the Findlaw.com website. Farez had been last seen on Tuesday, Sept. 4, police were told. He was arrested in Darien on Thursday, the day the Silver Alert was issued. On Friday, Greenwich police announced that he had been found. 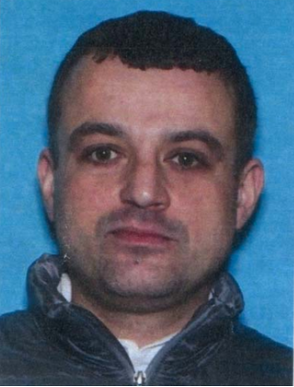 Greenwich police said Farez owns a brown 2009 Honda CR-V sport utility vehicle. He was described as 6 feet, 2 inches in height. 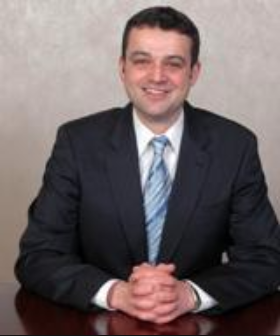 According to FindLaw.com, a website for finding attorneys, Nordin M. Farez is a tax lawyer working with Seward & Kissell LLP of 1 Battery Park, New York City. But that appears to be in the past. The Seward & Kissell website doesn’t currently list him among the firm’s attorneys. An ambulance from Darien EMS-Post 53 was called to the scene just in case it was needed, but both of the car’s occupants declined to be evaluated. Neither complained of injuries. Farez refused to take a field sobriety test, “citing a medical issue,” according to the police announcement. When told he was under arrest for driving under the influence, he became uncooperative, requiring two officers to help the arresting officer in handcuffing him. He continued to be uncooperative after he was handcuffed by lying on the ground, refusing to stand up and screaming — at a time when students and staff of the high school were relatively near by. It took several failed attempts before officers finally were able to get Farez into the back of a patrol vehicle, which took him to Police Headquarters. There, he continued to be uncooperative with police. In Farez’s wallet, officers found two white pills they determined were Klonopin. He indicated he had a prescription for them, but he didn’t have any proof of that. He refused a breathalyzer test for alcohol in his bloodstream. Farez, of 124 Ritch Ave. West, Stamford, was charged with driving while under the influence of alcohol or drugs, interfering with an officer, second-degree reckless endangerment and illegal storage of a narcotic. He was released at 7:15 p.m. after posting a $500 bond and is scheduled to appear Sept. 17 in state Superior Court in Stamford. Editor’s note: Additional information from a police spokesman has been added to this article. at 11 a.m., Tuesday. When a driver traveling extremely slowly on Old Farm Road pulled alongside a police patrol car and stop, police thought the driver seemed to want to make contact with them to tell them something, and they approached the vehicle, police said. So when the driver suddenly drove off, police didn't know what to make of her actions, according to police, who described what happened next with this account, including accusations not proven in court: The officers followed and stopped the car several hundred feet away, still on Old Farm Road and near the Tokeneke School entrance. A woman driving with a blood-alcohol content close to three times the legal limit was involved in an accident with another vehicle in Darien the afternoon after Christmas, then drove off before she was found in Norwalk, Darien police said. Darien Police described what happened with this account, including accusations not proven in court: Sometime before 3:05 p.m. on Wednesday, Dec. When a police officer saw a man toss some garbage into the dumpster behind a business near the corner of the Post Road and Corbin Drive early Sunday morning, then start driving away, the officer stopped the vehicle and spoke with the man, police said. That led to the man's arrest on a charge of driving while intoxicated, police said.